Just as each plant has a growing season and specific instructions, many pests also have a prime season, but can often be controlled with specific measures. Bugs will be less of a problem in the garden if you take the following steps before planting your annual garden, and use specific controls during each season. Preventing garden bugs during the growing season starts at the end of the previous growing season with a thorough cleaning. Clear and scrub the greenhouse, and wash out any pots and planters you plan to reuse. This will also help prevent recurring plant diseases. Start the garden with healthy, clean, well-balanced soil. Weak soil leaves plants vulnerable to insects. Have your local Master Gardeners and cooperative extension agents test your soil. They can tell you what elements may be lacking or overly abundant in your soil. 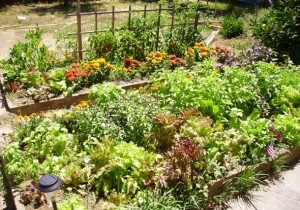 Also plan to rotate your vegetable garden to deter any plant-specific insects and diseases. After starting the garden, use the following controls in each season to tackle destructive pests. Of course, spring is the most important time for preventing most infestations, but both damage and preventative measures can continue through the growing season. Plant alyssum and buckwheat to attract beneficial insects. Ladybugs, lacewings, hover flies, paper wasps and other insects are attracted to these plants, and will live near these plants while preying on dangerous pests. Attack iris borers early in the spring before they do major, irreversible damage to irises. 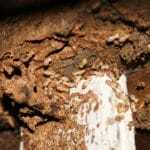 Pesticides such as Orthene or Bulls-Eye should be used when iris borer eggs are hatching. Canker worms in elm and apple trees also should be attacked in the spring, when they are less than a half-inch in length. 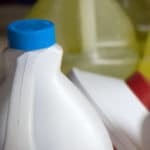 BT is recommended as the least toxic pesticide option. Cabbage and onion maggots lay eggs in May, and can be thwarted with a floating row cover on cabbages and onions, as well as broccoli, radish and turnip plants. Pick off and destroy asparagus beetles as the asparagus first starts growing, before they spread and severely damage the plants. Remove the silken webbing of Eastern tent caterpillars in May, as they start to appear and remain small. Plant coriander, dill, yarrow, buckwheat to attract beneficial insects. In particular, aphids are a favorite meal of green lacewing larvae, and both larval and adult ladybugs. Both lacewings are ladybugs are available commercially, and reproduce rapidly in summer, producing plenty of aphid eaters. Lacewings also eat mites and leafhoppers. Ladybugs also eat mites, mealy bugs and other pests. You can also deter aphids with spearmint, garlic, and French marigolds. The latter attract hoverflies, which are another aphid predator. Start checking the underside of cabbage leaves and leaves of similar plants for cabbage caterpillar larvae. They can be removed and prevented from becoming cabbage moths, which burrow into cabbages and kill them. Also check for celery leaf miners, and remove the larvae before they infest the whole crop. Wait for June to plant carrots, which is outside the egg-laying season for the destructive carrot fly. 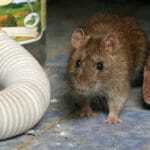 These pests are virtually impossible to destroy after infestation sets in. Planting onions next to carrots may also help deter carrot flies, as pungent onions can mask the smell of carrots. Bagworms ravage juniper, spruce, pine and cedar trees, and are best controlled with a wide range of targeted insecticides in early June, while the larvae are still small. Plant coriander, dill, black-eyed Susans and dwarf sunflowers to attract beneficial insects. To combat red spider mites, encourage black-kneed capsid bugs to lay eggs on apple trees in mid-summer to early fall. Both capsid nymphs and adults can eat significant numbers of red spider mites each day. Plant alyssum, buckwheat and dwarf sunflowers to attract beneficial insects. Lawn grubs can be active and dangerous in the fall, but can be controlled with carbaryl or trichlorfon insecticides. This is not a comprehensive list of garden insects for each season. Consult local master gardeners and cooperative extension offices for specific questions and concerns.